Happy Birthday Not Just Baked! Here is week two of the celebrations with another awesome giveaway for all of my readers! Sabra Dipping Company and Not Just Baked has partnered to bring you awesomeness. 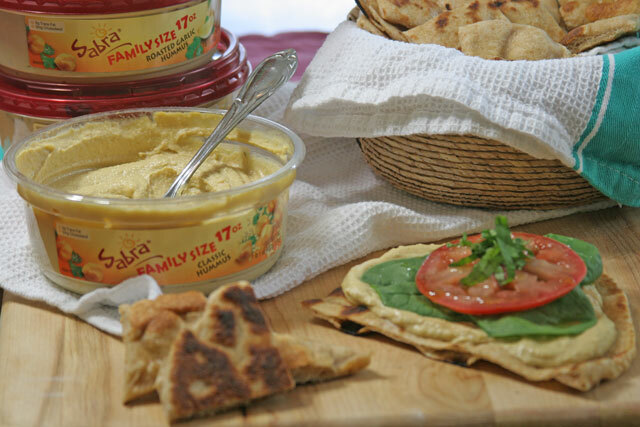 I made an amazing Flatbread bread recipe to go with this hummus dip by Sabra. You can just dip away, or make a meal of it by adding extras like tomatoes, spinach, or any other vegetable add ons you may love. This is exactly why I love humus. 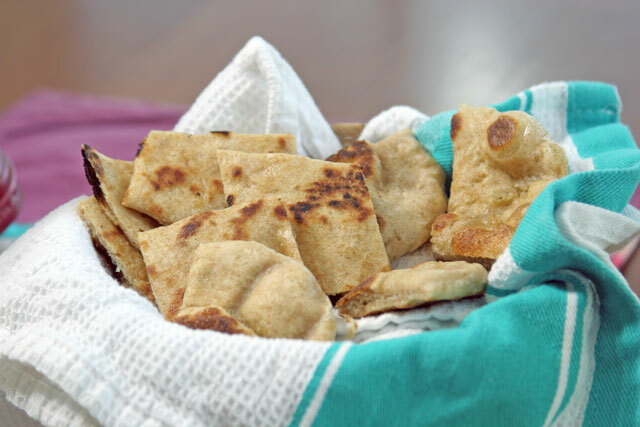 It is your nutritious protein and has endless possibilities for flatbread recipes. While I was photographing this post, I had an open container of the original hummus with some of the flatbread I made, and I could not stop snacking. It is addicting. Here is the thing, After battles with myself on this subject of making all my food from scratch, I came to the best conclusion. Like with everything in life, balance is key. We don’t always have time to make everything from scratch. It is my intention, but to be perfectly honest, I have learned to pick my battles and choose my time wisely. I wanted fresh bread, and I don’t always have time to make bread, hummus, dinner, breakfast, lunch, and so on. I know we all have a lot on our plates, and I have found that if I don’t have time to make every bit of my meals from scratch, I like to find companies that make delicious products, with good ingredients, no funky stuff, good morals, and use them. Sabra is one of those companies. Their hummus is delicious, healthy, and affordable. Although today you get a whole care package from them for free, it gives you an opportunity to try it out, and I suggest you jot this down as a go to hummus. It is freaking yummy. 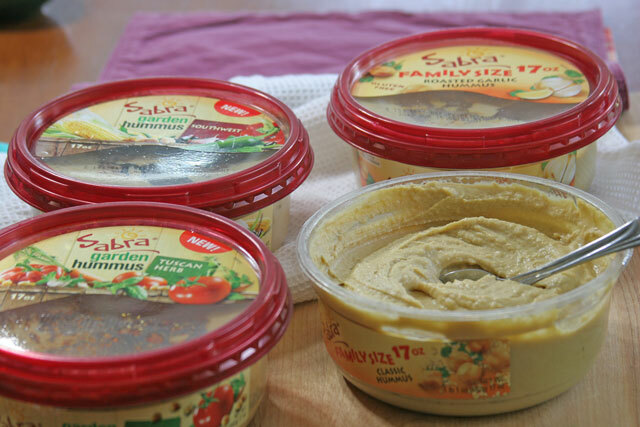 Today one reader will win a huge box of Sabra products like the one pictured below! 4- 17 oz. family size hummus packages. This giveaway is for U.S. residents only. Your email is for my use only per this giveaway to contact the winner. I will never ever give it away. Leave a comment below the post letting me know which of the following you did, thank you! I used a cast iron skillet on the stove top to cook this recipe. I also grilled it, and baked it. The results vary but are all delicious. This recipe was adapted from The Sprouted Kitchen Cookbook. 1. 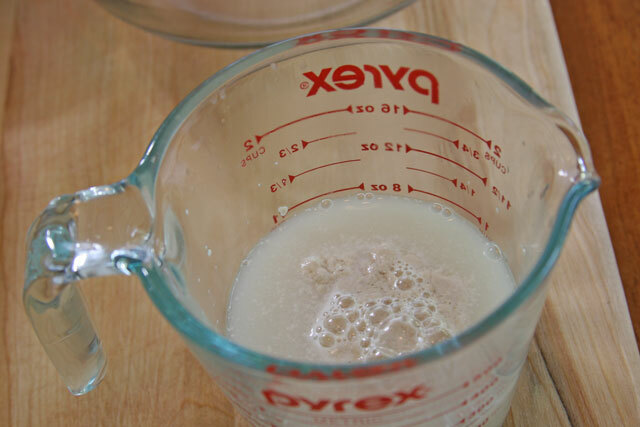 Place the yeast, honey, and 1/4 cup 100 degree water in a cup. Let stand for 10 minutes, until frothy, like below. Add the olive oil to the 1 cup of water. 2. Place both flours, and salt in a large bowl, whisk to combine. Once the yeast/water is ready, add to the 1 cup of water, and olive oil. Mix well. Add to the flour. Using your hands combine to the dough, it was a bit dry, so I added 1 tablespoon of water, then turned it out onto a lightly floured surface. 3. 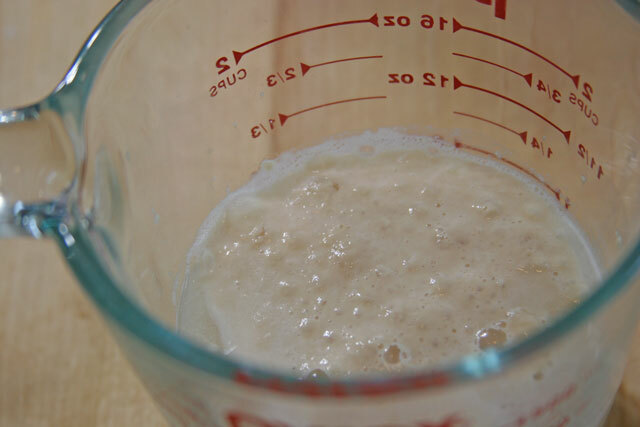 I added another 1 tablespoon of water to bring together, knead for 3 minutes. Make a nice round, place in a bowl brushed with olive oil, cover, and let stand for 1 hour. After 1 hour, punch down gently. Punch down means releasing the air, so gently take your fingers and press the dough down, like below. Cover and let rise for 1 hour. 4. 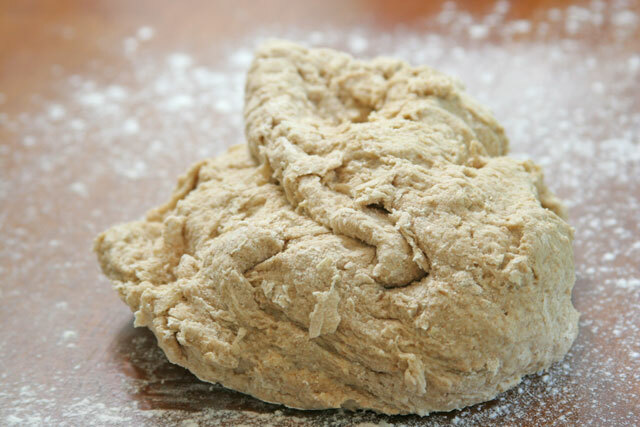 Remove dough and using a bench scraper or knife cut the dough into 6 even pieces. Cover and let them proof for another 1 hour. 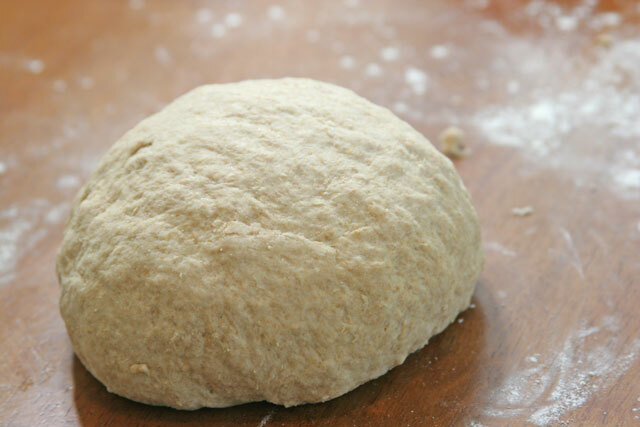 Roll out to 1/8- 1/4 inch thick on a lightly floured surface. Heat the skillet or grill over medium heat. 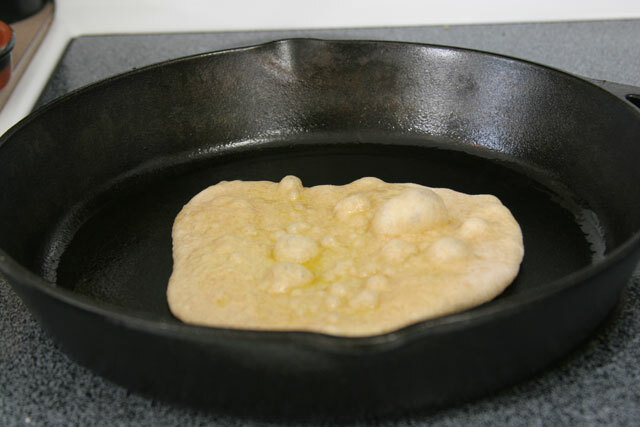 Lightly brush the flatbread with olive oil, cook on each side for 3-4 minutes. Store in an airtight container for up to three days, after a few days, place in the fridge to keep fresh. Toast or warm up for best results when servings. Serve with Sabra hummus, sliced tomatoes, spinach, or just enjoy as an afternoon snack. Cut them into smaller pieces to serve them as a snack. This post is made possible by Sabra, and is a paid sponsorship. All opinions are my own. I was provided with the hummus package by Sabra, and they will be providing the winner with the giveaway package directly. Love Sabra hummus. I eat it with veggies or pita chips. Will try the flat bread recipe! Thank you. Apple wedges would add a tasty sweet crunch! Thanks! I can’t wait to try this!! I’m so excited to! I love the idea and will have to gave it a try. My pleasure! Thanks for all of the follows. Thanks, I love hummus with my vegies now I will try the bread. I am going to try this tomorrow. I am always looking for a reason to eat hummus. I love making bread, and I will definitely try this; warm bread and hummus is the perfect combo. I love having it after a morning workout. It provides me with nutrients, which carry me throughout the day, and you feel good knowing you’ve eaten something healthy. That’s exactly it. It’s the perfect meal. Especially with some spinach. I will make this flatbread! But I can’t “dip”, I have to spoon it out onto my grilled pita or flatbread…it’s SO addicting!! :-)) Can’t stay out! I understand. I make my own from time to time. But it’s nice to have sabra for the day to day. It is the best! I dip everything in my hummus, Warm pita bread, celery,carrots, any vegetable really. Also love rice crackers or rice chips. Eveythings good with it………. I love Sabra and your flatbread looks fabulous. We go through a huge costco tub of sabra every 2 weeks. I agree completely on the addictive part. 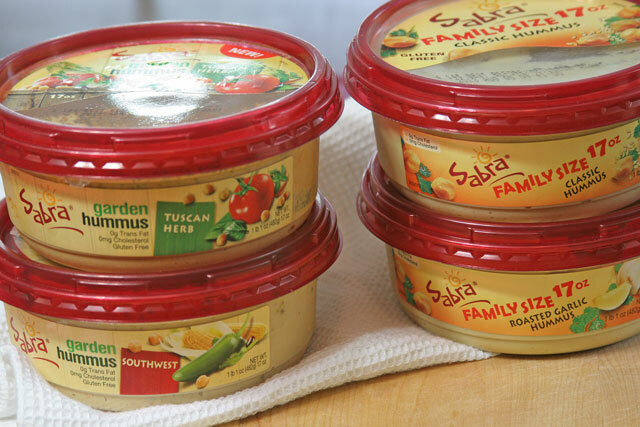 My family loved sabra’s hummus. We eat it every day and even had to pack some for a trip to an amusement park a few weeks ago. I will keep my fingers crossed that I win! I use soft pita bread ; bagel crisps; or sliced bell peppers with my hummus. You can turn these into chips! This recipe seems so simple. I just got into making my own bread, and this seems like a great idea on hotter days when I don’t want to turn my oven on. Exactly why I made it this way! I hope you like it. I like to dip warm whole wheat pita bread in my hummus! Me too! Thanks for the comment, fb like, and tweet! Good luck! I really like it how it came out. It was super easy too!